Photographers have been working all round the clock so as to ensure that they are able to come up with the best photos. This is so as to ensure that the photos can be used for commercial purposes such as for advertising among other uses. For example, in the fashion and beauty sectors, high quality images have increasingly great and wide applications that are geared towards enhancing sales. Commonly, images that are used in the fashion and beauty sectors are usually quite unique and appear as extra-ordinary. This is mainly due to the reason that these images are taken through a series of image editing sessions so as to polish them up and add the much needed unique touch & feeling on the images. Editing of images is commonly done so as to ensure that the resulting image is one that is relatively compelling and unique thus setting such an image apart from other images. Before you even start fixing and working on the big things in the photos that you want to edit, it is important that you should first give the small things a look. Make use of the amazing clone stamp tool to remove objects that you do not want featured in your images. These objects are such as trashcans, sign boards and telephone wires among other unwanted objects. Afterwards, you should then make use of the red eye tool so as to fix problems like red eye that may be in photos. After fixing these problems, you should then apply the use of the spot healing brush tool so as to remove blemishes that may be in people in the photos. This is quite important in that it ensures and provides that all people in the images look amazing and at their best. After removing aspects that you do not want to be featured in your end result image, you should then undertake to do some cropping. This is so as you can be able to isolate the subject in the image and remove extraneous parts of the photo/image. Cropping is done through the use of the crop tool that is usually dragged over the area that you want to retain. While cropping images, it is important that you should try as much as possible to crop much of the image as opposed to less. This is so as to remain with the better part of the image even after cropping. In order to work on enhancing the tonal range of the photo/image, you should use a levels adjustment tool. This is specifically very important and unique in adding definition to a blurred and or a muddy image. While adjusting the levels in the image, it is paramount for you to ensure that you enhance the contrast of the image for better clarity. In addition to this, you should also work on enhancing the curves of the image such that to enhance the outline of the photo. Images that are monochromatic usually look a little bit blurred and thus unpleasing to look at. Therefore, you should work on enhancing the color of an image in a way such that you are able to apply different color schemes and themes in the image. This helps in enhancing the uniqueness and attractiveness of the image. 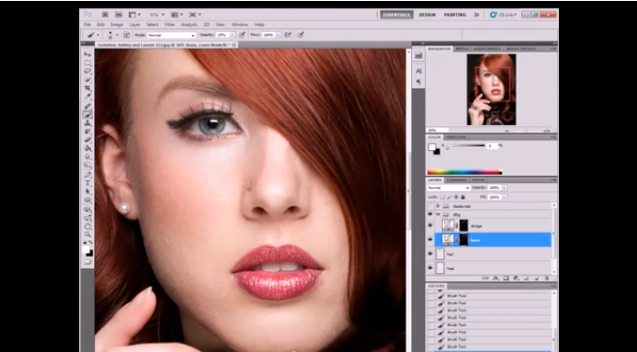 You should use color tools in Photoshop so as to be able to choose the best color effects to apply. Sharpening of the image is done for a number of reasons and purposes that may include enhancing the clarity and sharpness of the image. While sharpening the image it is important that you should set the sharpening threshold to as low as 5-10 so as to avoid creating edges and halos in the already edited image. After sharpening is complete, it is important that you should enhance the vibrance of the image. This is so as to saturate the already edited image and also ensure that the color effects that are used in the images are at their best. Author Bio: JacobHaneyis an illustrator and writer atsmartPHOTOeditors. He specializes inImage Editing Services and Image Manipulation. He loves sharing his knowledge with others.